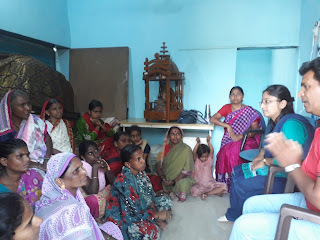 6-October-2018, Koregaon Park ( Pune) : The Don Bosco Development Society (DBDS), Pune organized a workshop on ‘Financial Literacy’ for the Self-Help Group women from Rajiv Gandhi Nagar slum in Pune. 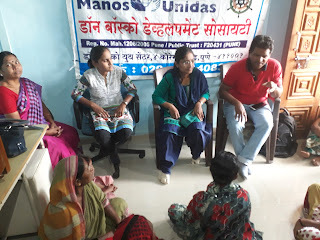 23 women participated in this programme held under the aegis of ‘Women Empowerment Project’ supported by Manos Unidas, Spain. 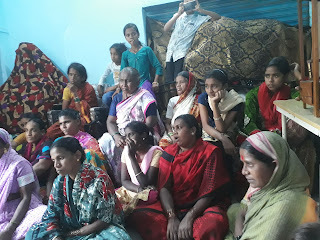 The objective of this workshop was to create awareness and impart skills to women on financial goals and investments. Mr Nagsen Chavan (Coordinator - DBDS) was the resource person for this workshop. Ms. Nilima Chandhare (DBDS-Staff) welcomed the participants and the resource person. In his session Mr Chavan explained various illegal financial schemes and scams, and frauds such as Speak Asia, Royal Twinkle Star Club Ltd, Pearl, Pancard, Stock guru India etc. He also explained various schemes such as PPF, Atal Pension Yojana, Jiwan Jyoti Yojana, Post Office Saving Schemes, and Insurance Schemes etc. Program ended with vote of thanks by Miss Jyoti Sonwane (DBDS-Staff).